"The cells in question release exosomes into the blood stream—think small nanoparticles—that don't cause cancer, but they support it," said Ge Jin, associate professor of biological sciences at the School of Dental Medicine and the study's author and principal investigator. 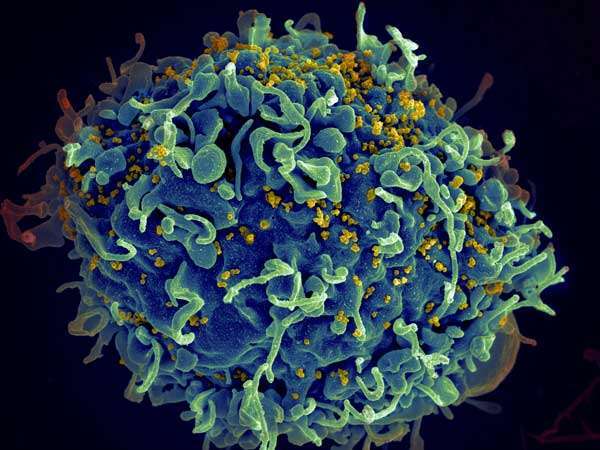 "In other words, the cancer grows faster and more aggressively in patients with HIV." "They assist in a way we hadn't—until now—been able to understand," he added.